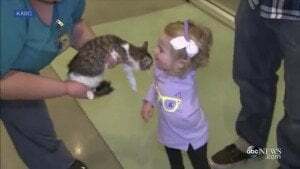 A two-year-old whose arm was amputated due to a rare form of cancer found a friend in a kitten whose leg had to be removed after an injury. The damaged limb was amputated after the feline was rushed to an animal medical center near Boston. 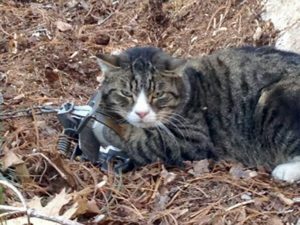 The cat was discovered by a hiker.